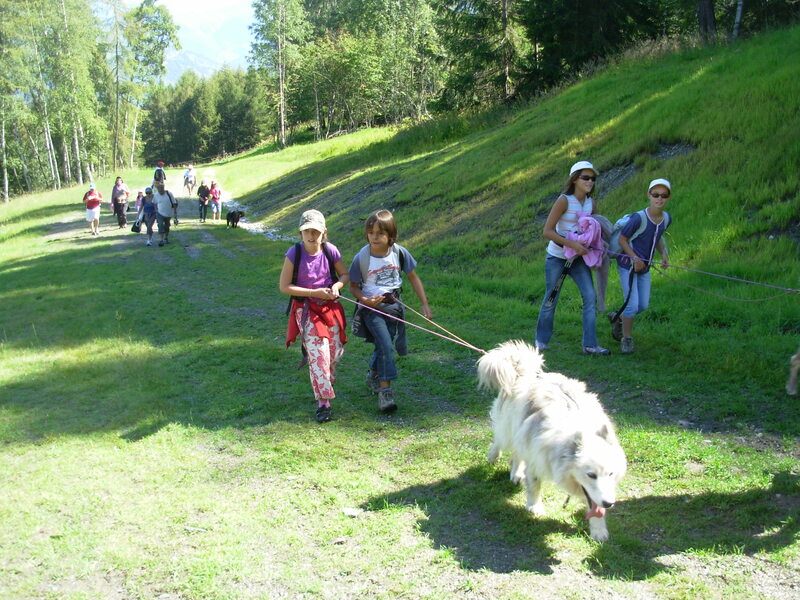 Dog trekking originates from the movement of nomadic Inuits and Indians in the summer months. 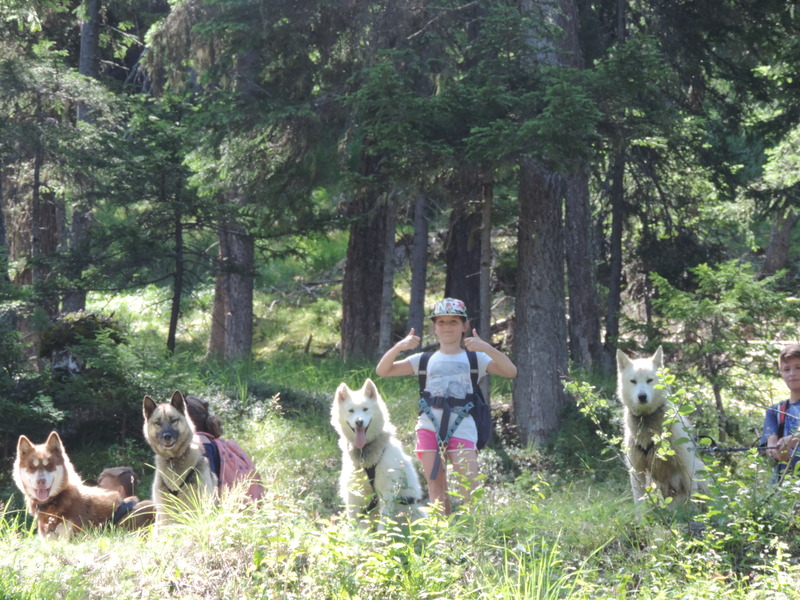 In winter, these peoples roamed their hunting grounds on sleds, but in the summer, they moved on foot, assisted by their pack dogs, tethered to their waists by a long lead. 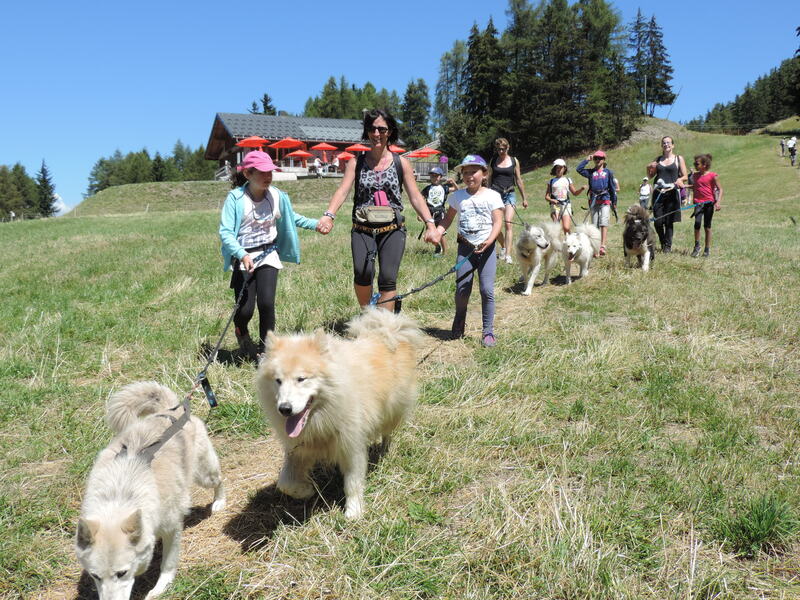 Nowadays, apart from being a fun walking sport, dog trekking (or hiking) is a great way to learn about dogs in general and Nordic dogs in particular, and show children how to behave responsibly in the company of these friendly animals. 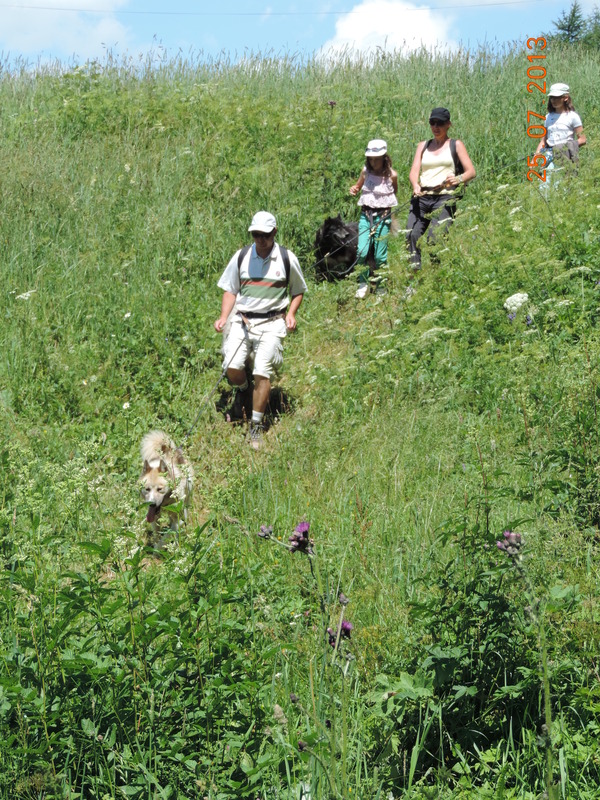 From a padded belt around your waist, a 1.5-metre lead connects you to your dog's harness. 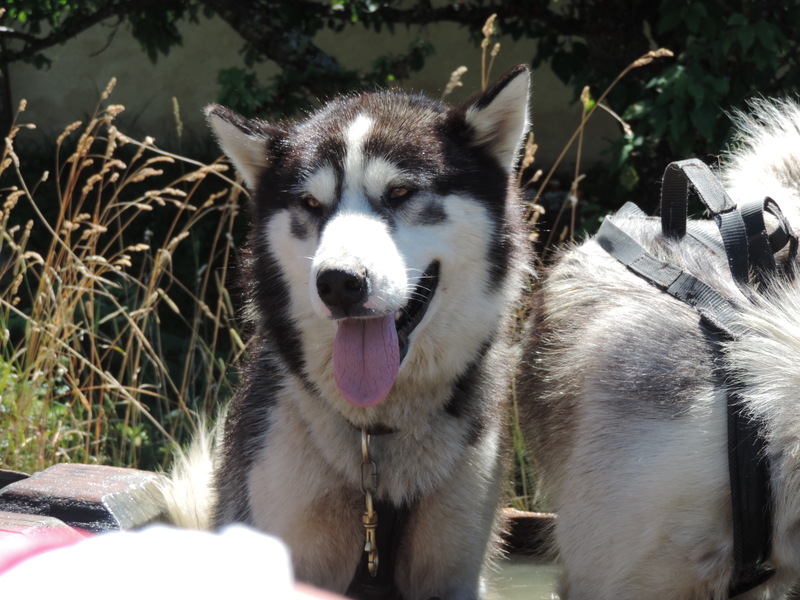 After making contact and getting to know your dog, there's some followed by some theory, you put on your harness, check your equipment and off you go! You will learn how to understand and steer your "teammate"... and share with him the exertions and pleasures you encounter on the trails of Montalbert. The dog will help you up the climbs .... and liven up the thrill of the descents! An unforgettable sharing experience for all the family! Back to the kennel with his guided tour. For safety reasons, children are often linked in pairs (child/child or parent/child).